Inside: Find five super fun ways to teach hand washing for kids. 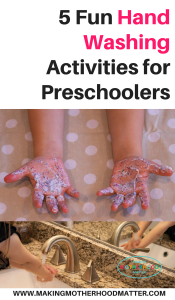 These hand washing activities for preschoolers will help kids learn about germs through play, science, songs, and hands-on practice with hand washing. My daughter dashed into the kitchen ready for a snack. I almost handed her the plate of oranges, before I did a double take. Her hands and face smeared with smudges of dirt, food and other miscellaneous substances from the day. 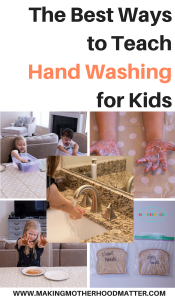 This scenario was something that happened regularly with my preschooler, so I realized it was essential to take the time to explain why hand washing for kids is so valuable, to my daughter. This was even more essential when she had a runny nose, allergies, or a cold. Teaching hand washing for preschoolers is important for every child. However, we try to be especially aware of germs, which can cause colds, and allergens, which can trigger seasonal allergies, that have affected my family in the past. 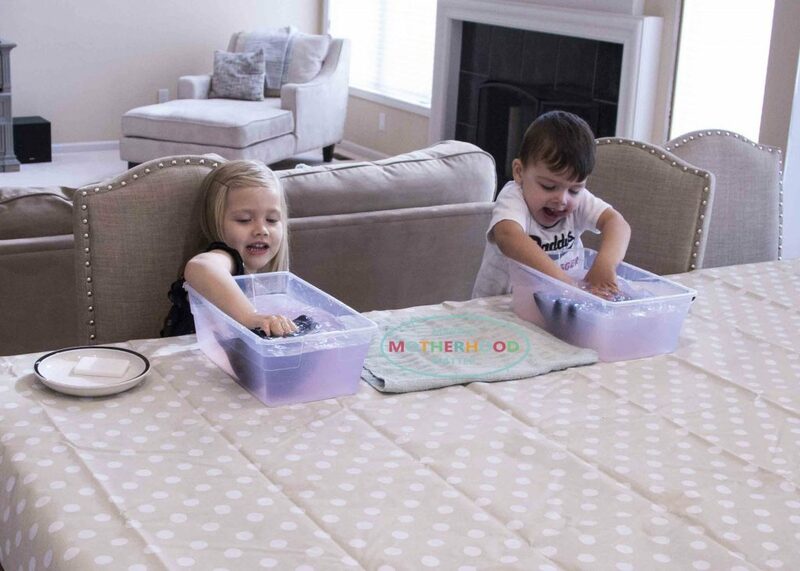 As I prepared a few fun activities for my daughter to teach her about germs, I also educated myself on things like some ways to help tell the difference between indoor and outdoor allergies using the Smart Allergy Mom Toolkit® by the makers of Children’s Claritin®. 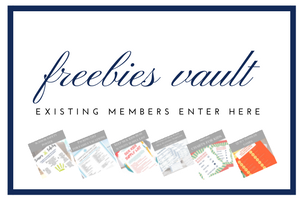 This is an online resource to help moms understand and manage their kids’ allergies. 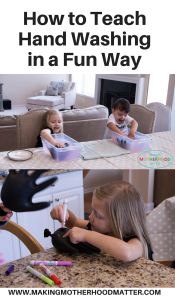 Here, I have put together five fun hand washing activities for preschoolers. 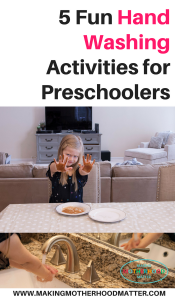 These activities will help kids learn through play, science, songs, and hands-on practice with hand washing. 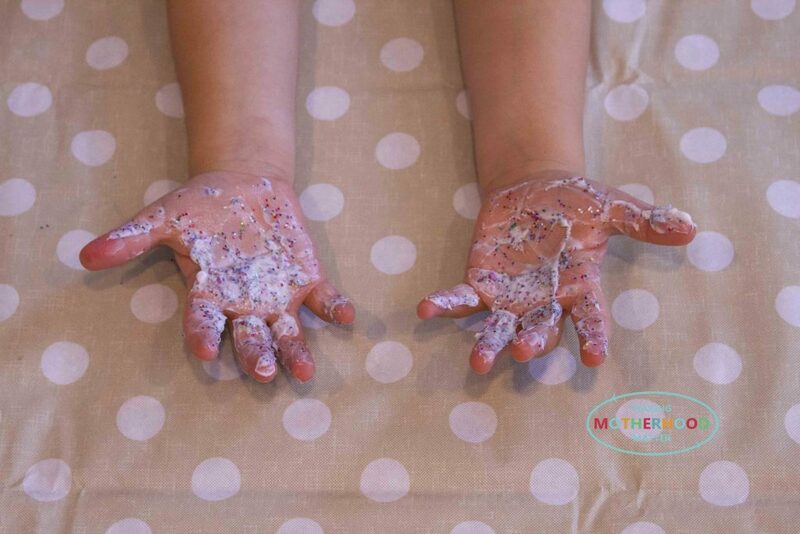 For this hand washing activity, you’ll need lotion and glitter. First, place a small dab of lotion in a bowl. Next, add some glitter. Finally, mix it and then spread it on your little one’s hands. Explain that the glitter is like the germs and allergens that we pick up as we go throughout the day. The best way to get them off is by washing our hands. Finally, let your little one practice washing his or her hands. Another fun germ activity for preschoolers is to role play washing a hand by using a glove. First, fill a latex glove with water and freeze it overnight. Or, if you are short on time like me, blow air into a rubber glove and wrap a rubber band around the end. Following that, use washable markers to add “germ and allergens” to the gloves. Next, fill a small bin with warm water. Now you are ready for the hand washing fun! Have your little one use soap and practice washing the germs and allergens off of the glove. Then, dry the glove using a towel. Model exactly how to wash your hands by explaining each small step. Get one pump of soap and rub hands together. Rinse your hands for about 20 seconds. With water and some soap. This experiment shows the science behind why it’s important for kids to wash their hands by showing ‘hidden’ aspects of microorganisms . 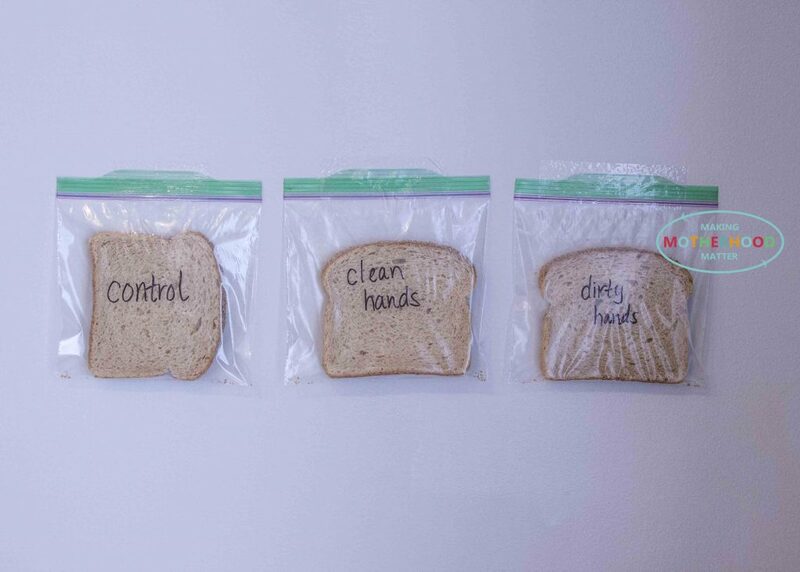 It will take about 5-7 days to see the full effects of the germs on the bread. For this experiment, you’ll need three pieces of bread and three zippered plastic bags, and a marker. Label the bags with these labels: control, clean hands, and dirty hands. Have them predict what will happen to each bag. Then, observe the pieces of bread each day and discuss what they see. While this is more applicable to germs than allergens, it helps illustrate the importance of keeping clean and paying attention to the ‘invisible’ factors that can affect the way that we feel. 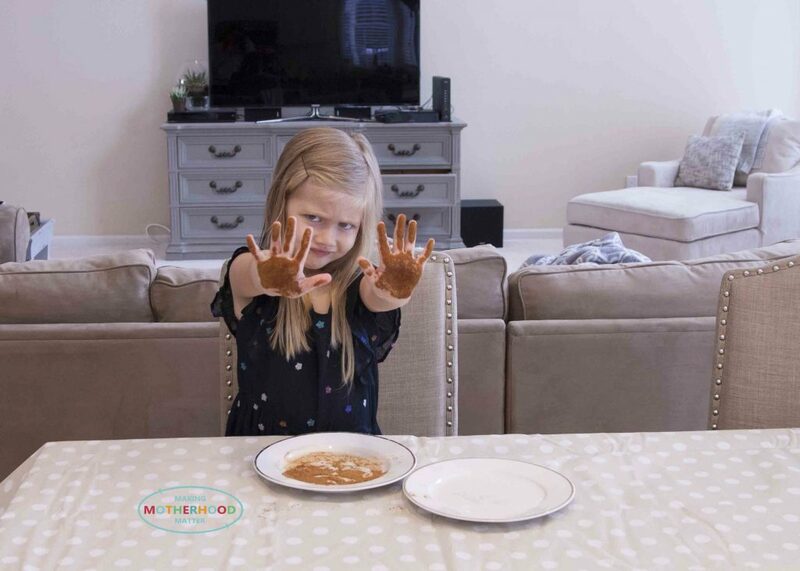 Now, preschoolers can put their hand washing skills to the test with the cinnamon hands activity. You sprinkle cinnamon on a flat surface like a plate. Then, pat your child’s hands in the cinnamon. Next, explain how this is similar to germs and allergens that gather on their hands during the day, that they can’t see. Now, their job is to wash their hands and try to get all of the cinnamon off. Teaching young children how to wash their hands can be fun, educational and lead to healthier hand hygiene. 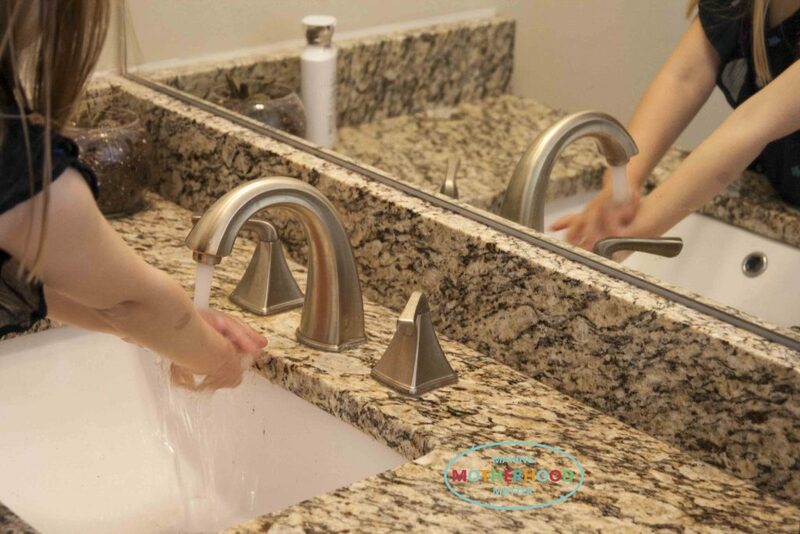 Hand washing skills are a great way to keep germs and allergens at bay, especially if your little one is prone to struggles with allergies. We use Children’s Claritin® that we purchased from Walmart because it provides 24 hour relief of runny nose, itchy, watery eyes, and itchy nose or throat and it’s the #1 Pediatrician Recommended Non-Drowsy Oral Allergy Brand for children ages 2 years and up. If your little one needs some relief from allergies you can grab a coupon for $3 off Children’s Claritin® here. If you enjoyed this piece, you might also like SICK KIDS: IDEAS FOR BEATING BOREDOM WHEN YOU ARE STUCK AT HOME or 10 INDOOR ACTIVITIES FOR KIDS. « Easy Mothers day craft ideas for preschoolers that will make you go Aww!